What started out as an after-hours group designed to foster camaraderie among younger employees has now grown into something more meaningful to the early career workforce at Orbital ATK. The network, called Emerging Professionals Investing in Careers (EPIC), has clear goals: to create and maintain a culture where innovation is encouraged and rewarded, where individuals can make a difference, and where opportunity is limitless. With organized activities ranging from career development initiatives, community outreach and education events, to social and networking activities, EPIC is now expanding across Orbital ATK, fostering community throughout the enterprise. “Building on the success of the Orbital Early Career Network that began roughly seven years ago at Orbital Sciences, EPIC is now structured as a company-sponsored entity run by its members, supporting frequent, ongoing events and company initiatives geared toward the interests and needs of the early career professional,” said Carlos Niederstrasser, an engineer with Orbital ATK who helped stand up the original organization. The network currently has over 200 members and membership is open to anyone interested, not just early career professionals. More tenured employees participate as well, providing mentorship and generating strong ideas for knowledge-sharing and educational events. The opportunity for employees to engage with EPIC starts from day one. Samuel Yoffe, Internal Chair for EPIC’s Dulles campus council, became involved in the group when he relocated to Dulles from North Carolina in 2013. Aside from working closely with interns, EPIC organizes events that fall within the categories of camaraderie, community and career, aiming to host one activity from each category on a monthly basis. “We work with local charities to do outreach activities like our recent goods drive for Mobile Hope, a local organization that helps homeless teenagers in Loudoun County, Virginia get access to items like clothing, school supplies, toiletries and other items,” Yoffe said. Other examples of outreach efforts include volunteering time and support at a local Habitat for Humanity ReStore, helping to organize donations and clean the facility, and participating in various Science, Technology, Engineering and Math (STEM) educational events as mentors and volunteers. In addition, EPIC organizers provide opportunities for early career employees to hone soft skills like public speaking and communication through lunch and learn events and other presentation opportunities. The group also organizes after hours socials to help foster stronger relationships and build community. Elizabeth Mashakas, Director of Recruiting and Systems for Orbital ATK’s Space Systems Group, has participated in this network since its early days. She praises the benefits the program brings to both employees and the company. EPIC has already expanded outside of Orbital ATK’s Dulles headquarters to facilities in Arizona and NASA’s Wallops Flight Facility, with plans to expand to locations across the enterprise. 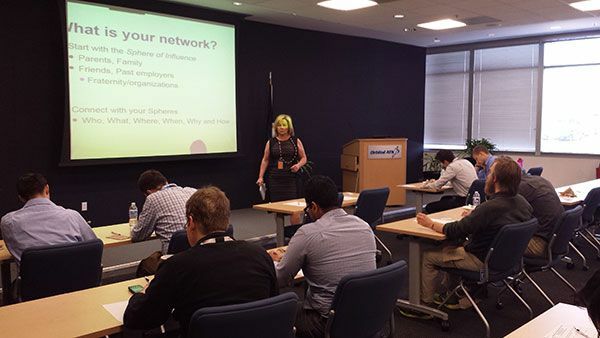 Guest speaker Gale Paige spoke to the Dulles, Virginia EPIC group about “Creating Your Future, Building Relationships.” The interactive presentation covered building and utilizing a network to experience personal and professional growth through relationships. Members of the Dulles, Virginia EPIC group pose for a photo following a volunteer event for Access Housing Inc, an organization to help veterans find employment and stable housing. 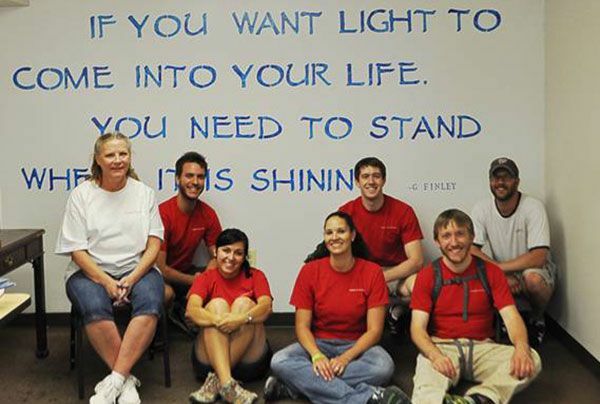 Members cleaned and organized a supply warehouse and stenciled the quote on the wall pictured behind them. 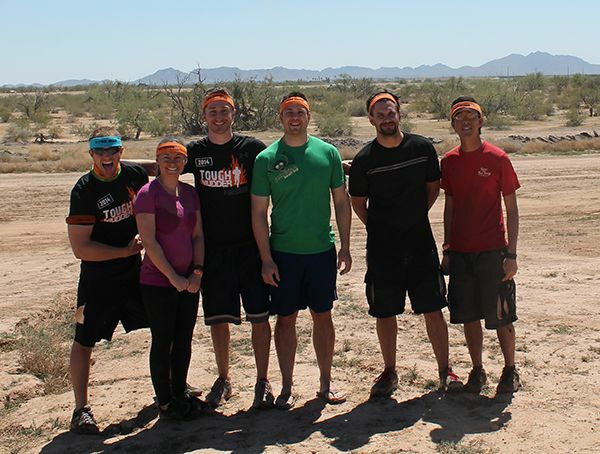 As a part of camaraderie and teambuilding efforts, EPIC Arizona members take on the Tough Mudder obstacle race. 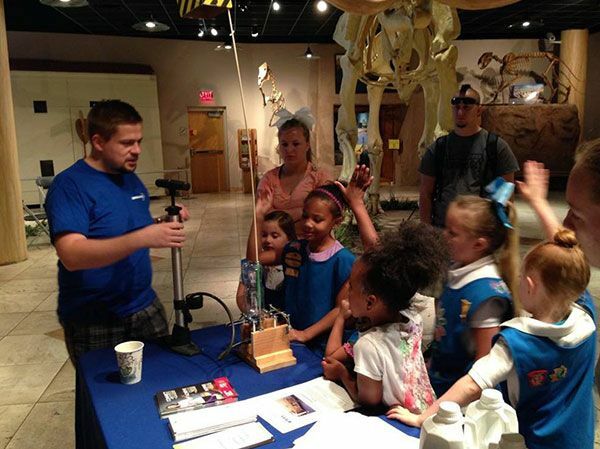 EPIC Arizona Chair Garrick Williams Demonstrates an Air Rocket to Local Girl Scouts. This is one of many Science, Technology, Engineering and Math (STEM) educational events that the Orbital ATK EPIC groups support.